Thefts: What is the School Doing? “I had a $250 pair of basketball shoes stolen out of a locker. Since then the school has started locking the locker room during classes so this doesn’t happen as often,” said U-32 junior Kyle Booth. Recently at U-32 there have been a number of thefts, mainly from the boys’ locker room. Some students have questioned whether the school is doing enough to protect their belongings. 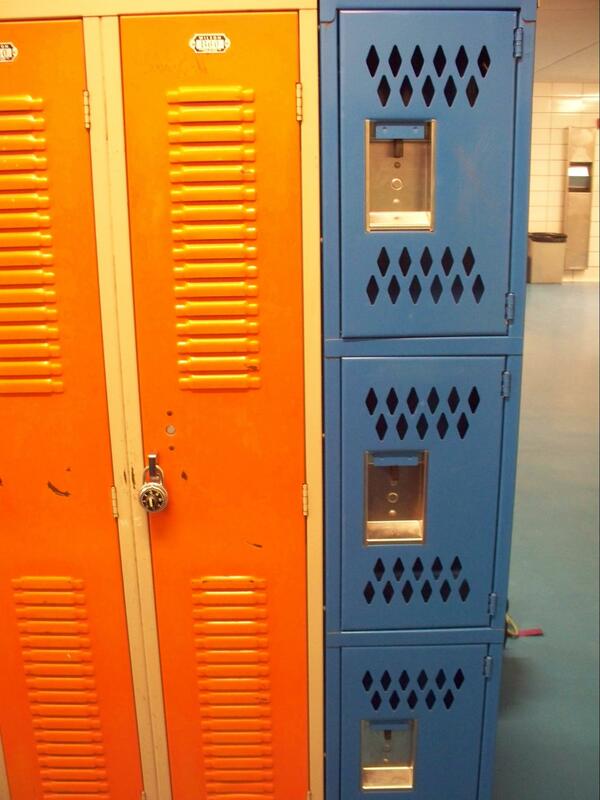 The orange lockers to the left are in the girls locker room, while the blue are found in the boys. U-32 junior Jalen Carter had $150 stolen out of a locker while participating in an after school sport. He said “…the locker had been ripped open. Ripping the locker doors off is not very hard to do. The men’s lockers are made out of thin sheet metal and easily bend by putting a belt through the mesh on the front.” Jalen said the school could simply “get better lockers” to prevent thefts like this. Reports of theft from the girls’ locker room are a lot less common than reports from the boys’ locker room. This may be because the girls and guys lockers are designed differently. U-32 senior Liz Aitchison said “they have a solid front with small vents.” These lockers appear a lot harder to break into. Erik Bennett, dean of students, said both the boys and girls locker rooms are getting new lockers this summer.